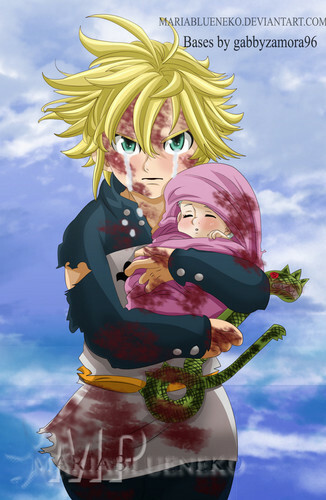 *Meliodas Protecting Baby Elizabeth: Nanatsu No Taizai*. dedicated to all Nanatsu No Taizai fans. HD Wallpaper and background images in the Nanatsu No Taizai club tagged: photo nanatsu no taizai anime seven deadly sins meliodas demon goddess elizabeth liones elizabeth liones.